We want you to have a good time when you visit Harley-Davidson® of Dallas in Allen, so there's almost always something going on! Every week there are motorcycle enthusiasts from Lewisville, Little Elm, Carrollton, Prosper and even farther at our events. Our Panther Creek H.O.G.® (PCH) start all their rides from our shop... you'll always see a PCH rider in the store. There's not enough room in the photo gallery to show how much fun we have, so we'll continue to update! 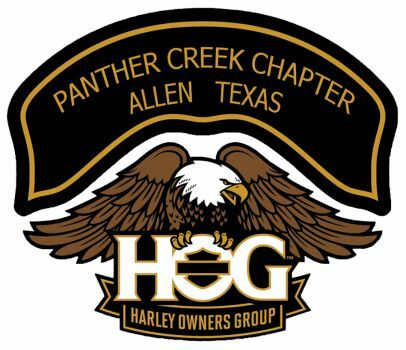 Click on the link below to learn more about the Panther Creek H.O.G.® 's - sign up to be a member - come join the fun!